It’s no secret that social media has really come into its own over the past few years, with more and more companies now adopting this method of marketing with the aim of increasing traffic to their site and increasing the brand awareness. Some of these companies are doing extremely well, take Innocent Smoothies or Tesco Mobile as an example. However, it can’t quite always be perfect for every company, and we have definitely seen some spouts of ludicrous thought processes and poor judgement on some companies behalf this year. Using social media as a tool for promotion and customer acquisition isn’t a fast and easy method, it takes time to fully understand the tone of voice and levels of engagement that your customers will likely respond positively to. 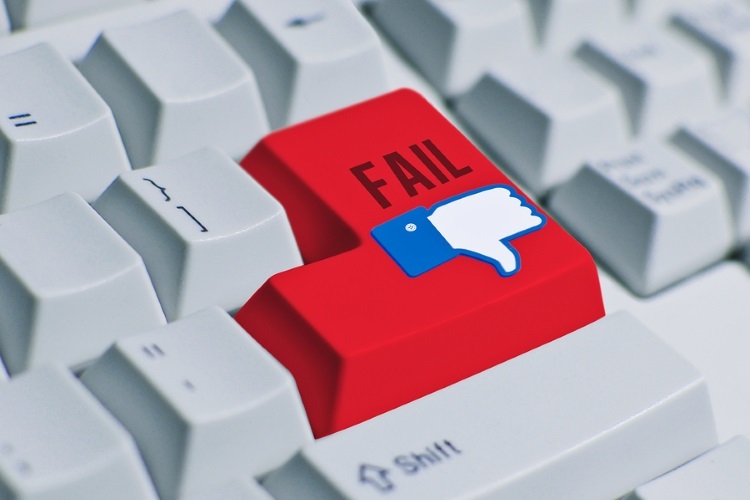 The following five examples show great evidence of companies that haven’t quite come to grips with how to post, and haven’t yet grasped the notion of reviewing your post before sending it out. I am sure you have seen the debate all over social media this year about the bend in the iPhone 6, with people actually attempting to break the phone, and some succeeding (what a waste of a phone). Well, as any competitor would, LG jumped straight on the bandwagon to try and ‘one up’ its competitor. They did not realise, however, that out of their verified French account, they were poking fun at iPhone, whilst tweeting it from an iPhone! Great brand loyalty! This is a prime example of a company not reviewing posts and not having a set crisis management system in place that rules out any relation to scandals within posts. “Hit the Hay”? As innocent as this was, this kind of language should have been straight onto Tesco’s radar as phrases never to be used again! Being the cool, hip brand that they are, American Apparel are constantly posting engaging images that stand out from the rest. As part of their attempt to celebrate July 4th, they ended up posting a picture of the space shuttle ‘challenger’ exploding! As you can imagine, the brand received a hell of a lot of negative feedback and had to issue a public apology immediately! Do your research guys! This particular case isn’t a company per se, yet is still a major influencer on the Twitter platform and evidences a great example of not determining the reaction of your fans and setting adequate KPIs. Basically, Rita suggested that if she was to receive 100,000 likes, which for starters is way to high of a number, she would release a new song. She failed to predict the possible outcome of this social post, and ended up embarrassed in the spotlight! Rita did claim that she had been hacked, however I believe it was just poor judgement on her behalf, or even her PR teams behalf. One crucial aspect to take into account is grammatical errors made in social posts, especially for large organisations. Missing out the odd capital letter or maybe a misplaced apostrophe can be overlooked, but there is honestly no possible explanation as to what the hell JCPenney were thinking when they sent this post out! Were they drunk? To review, i am pretty sure that from the fails i have evidenced, it can be said without argument, that taking the time to analyse and review every social post that is published to the internet is an absolute must! With the internet being such a huge and uncontrollable environment, the slightest slip up on social platforms could see your brand plummet in reputation! So be careful guys.